Broken pot gardens are relatively new to our market. They are basically terracotta pots that have been broken on one side and then planted. 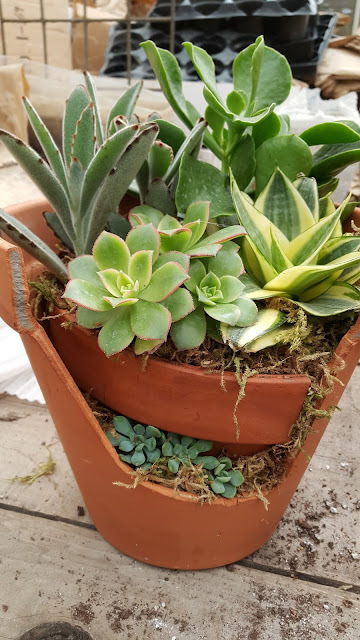 Most broken pot gardens use succulent plants but you can basically use anything. 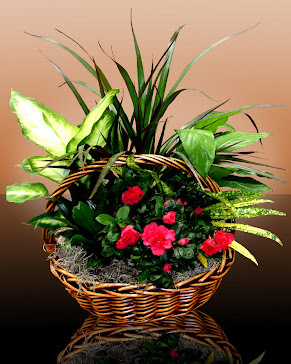 The reason for using succulent plants over any other is because of the watering. Succulents don't use as much water as other plant do. It is hard to keep the soil from washing away when watered too much. Also succulents don't grow as fast. Maintenance is easy using succulents. When the succulents get too big you can remove them or cut them down and most succulents can stand overcrowding. Watering is minimal. Use a spray bottle and water when dry. To make your own broken pot garden you will need a terracotta pot, potting soil or cacti soil. If you don't have cacti soil you can mix potting soil and play sand. Choose an assortment of succulents. Some will need to be tall and some very small. To brake your pot you will need a hammer and safety glasses. Start tapping firmly at the rim. You will start to see it crack. Choose another spot on the rim and again start tapping firmly till it cracks. If it hasn't broken yet tap softly in the middle between the two cracks. If you are lucky you may have one large piece and maybe some smaller pieces. Now to plant. Place a small piece of pot over the drainage hole to keep the soil from falling out. You can now start adding soil to the first broken part. You may want to water your soil to make it mold better. Make sure to press down firmly on the soil. Now add your broken pieces and keep adding soil and pressing down. Once you have the design you want you can start adding plants. I find using the tall plants in the back and the smaller plants in front make it more appealing to the eye. Continue planting till you fill up the pot. 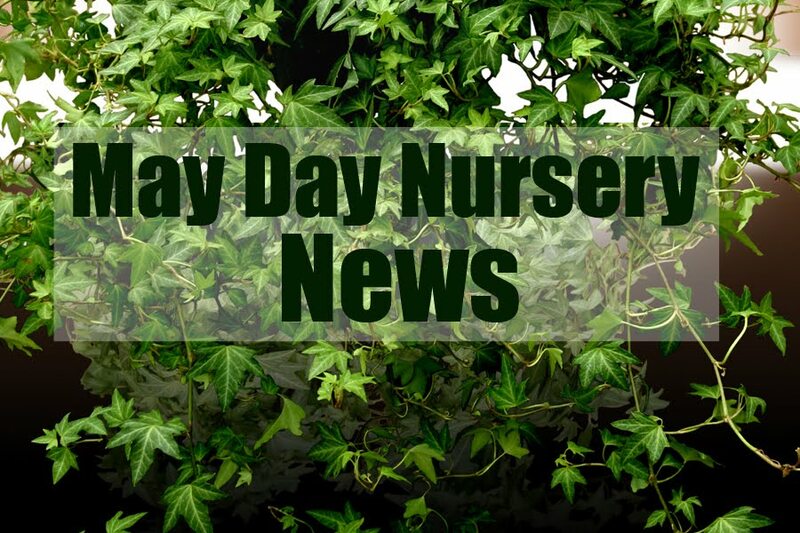 You may use moss, sand, rock or wood chips to cover the soil. 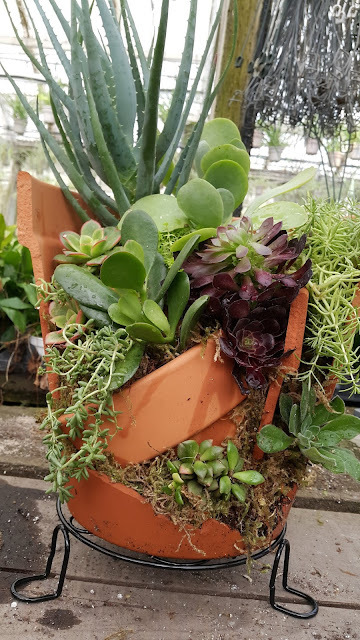 Keep your broken pot garden out of the sun. Even though the plants can tolerate full sun they will dry out much faster in the terracotta pots. And those cute little succulents will burn. Keep in mind the watering. For larger pots you may want to use a watering can with a narrow spout and the small pots you may use a spray bottle. Don't use a hose because the force of the water will wash all your plants and soil out of the pot. This is a great conversation piece. Place it on your dining room table or entrance and see what happens. OK. Now you have an empty fish tank and you maybe thinking I really don't want to get anymore fish so what do I do with the tank now? Well...there is a new craze going on for gardening. It is called Aquascape. Remember the fish tank terrariums? Well with Aquascape you grow moss and a few other underwater plants. So I decided to try to grow some moss in a very small tank I had for my beta fish. 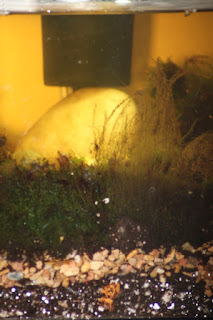 It passed away many years ago but I kept the tank. 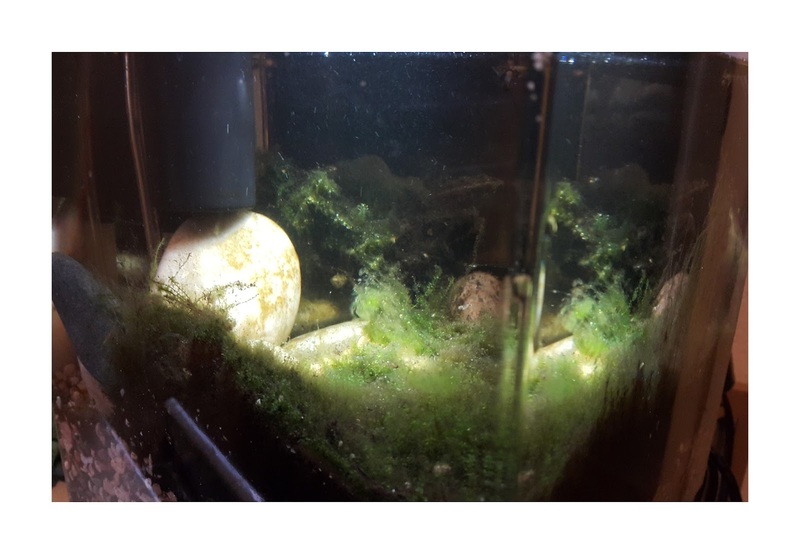 In the nursery we have moss growing on just about everything so I scraped some off of one of the tables and placed it into the fish tank. Well not that easy hahaha. Of course the moss just floated there. It needed something to anchor it. Plus I wanted it to look nice. Now if you plan on putting fish back in you may want to do it differently than what I'm going to tell you. I felt the moss needed some kind of nutrients to grow better. So in the tank I added some potting soil. Then I layered it with some small pebbles I found laying around. A few flat rocks I was using for a terrarium for decoration. I layered the moss on the bottom and under some of the rocks. I have had it working now for almost two weeks and I see so far nothing dying. The water is clean and the PH is at a normal range to add maybe a little African Pygmy frog. I have a large 35 gallon tank I had when the kids were young that I think I will try my hand at making up. I will try to keep you posted on my progress. If you are interested it this here is a beautiful website the you will fall in love with. http://www.thisiscolossal.com/2014/01/the-incredible-underwater-art-of-aquascaping/ . If you have any pictures of your aqua garden let us see.